Deb, a Colorado native, feels lucky to live in such a beautiful and diverse state. Living in Colorado affords her the opportunity to enjoy hiking, camping, lake kayaking and snowshoeing right out her back door. She also finds great enjoyment in nature travel, photography and scuba diving. Being outdoors and experiencing wildlife and wild places feed her soul. 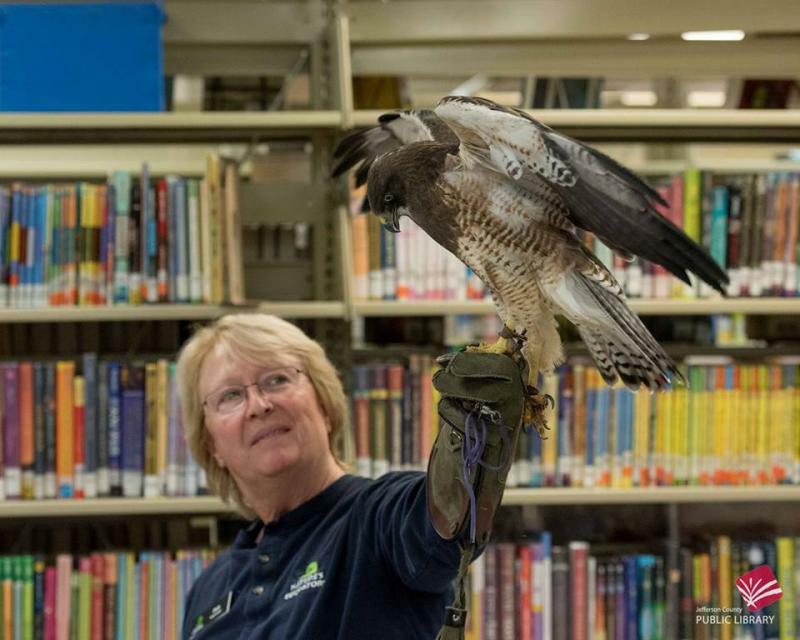 Her love and knowledge of raptors continues to grow from more than 25 years of hands-on volunteer work at non-profit educational raptor facilities. She is also a volunteer at the Denver Zoo. Deb is a member of several wildlife advocacy groups and donates a portion of her proceeds to ensure wild places stay wild for future generations. Deb has exhibited in local and out of state art shows, winning several ribbons and plaques. Ms. Jenkins’ creations are also in many private collections in the United States and in Canada. All Art Copyright by Deb Jenkins. All rights reserved.